In December I had a chance to combine two of my favorite things – travel and volunteering! I spent two weeks in Kigali working on the site where the headquarters of Grace Rwanda – a charity promoting literacy and education in Rwanda – are located. 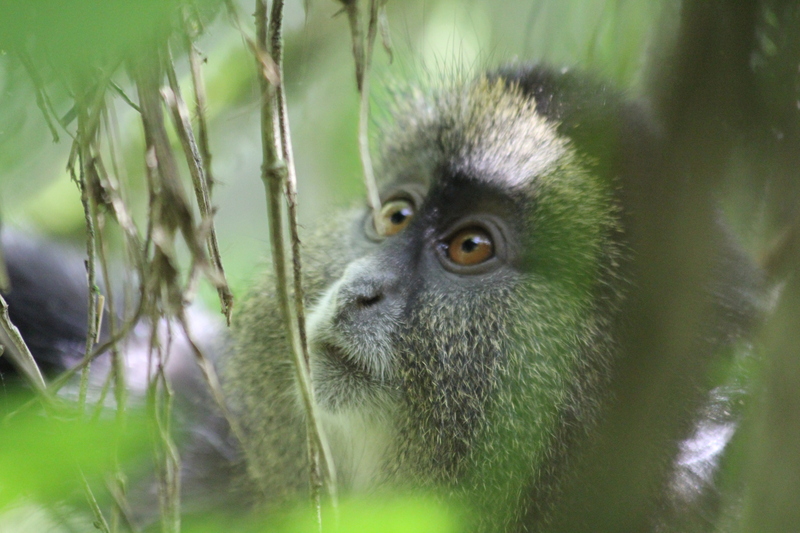 After that, I was lucky enough to take a week long safari to see some of the wildlife of East Africa! 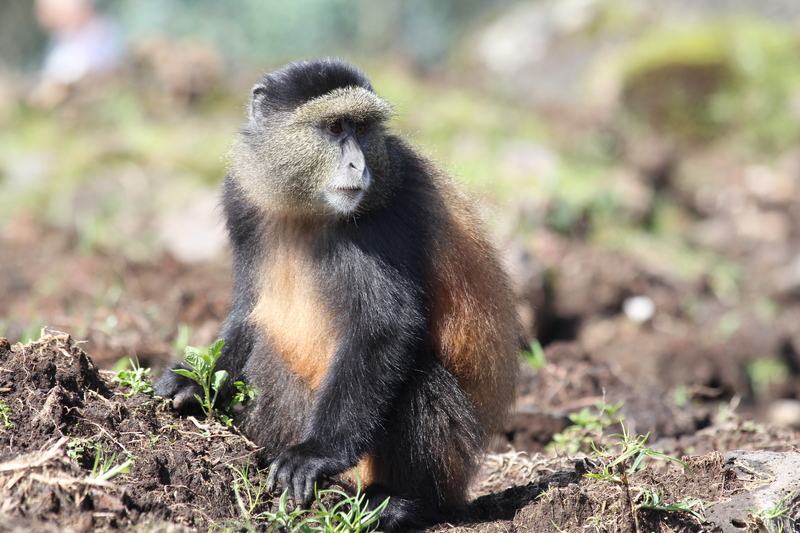 My first stop was Volcanoes National Park, Rwanda where I joined a small group of hikers in search of Golden Monkeys. 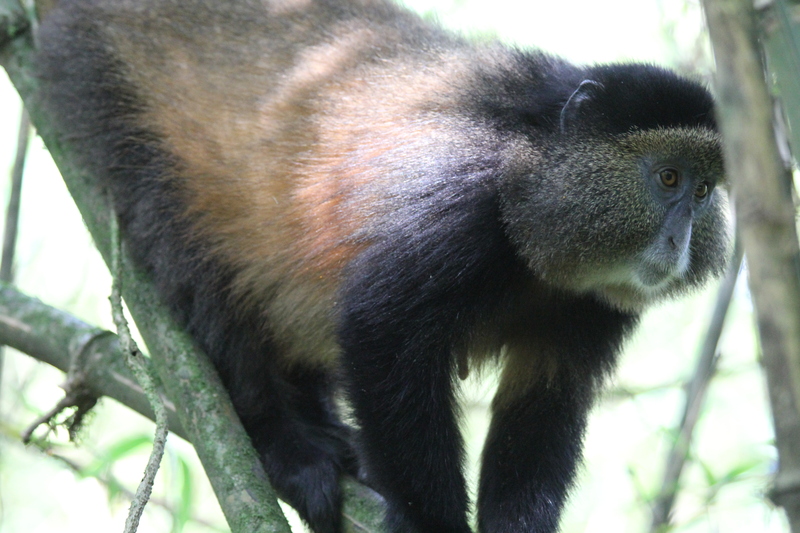 In conservation areas like this, visiting primates is nothing like going to a zoo – these animals are wild! 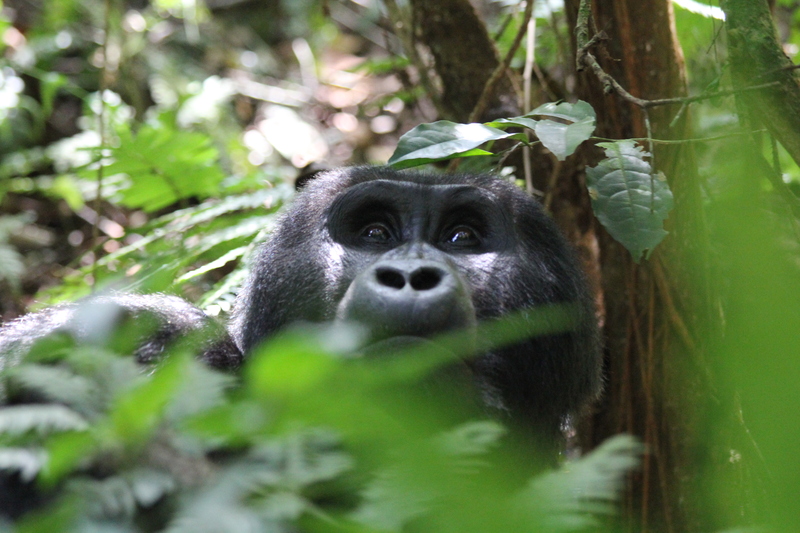 However, researchers have spent years habituating some of the populations to the presence of humans so it’s safe for small groups of visitors to encounter them in the forest. 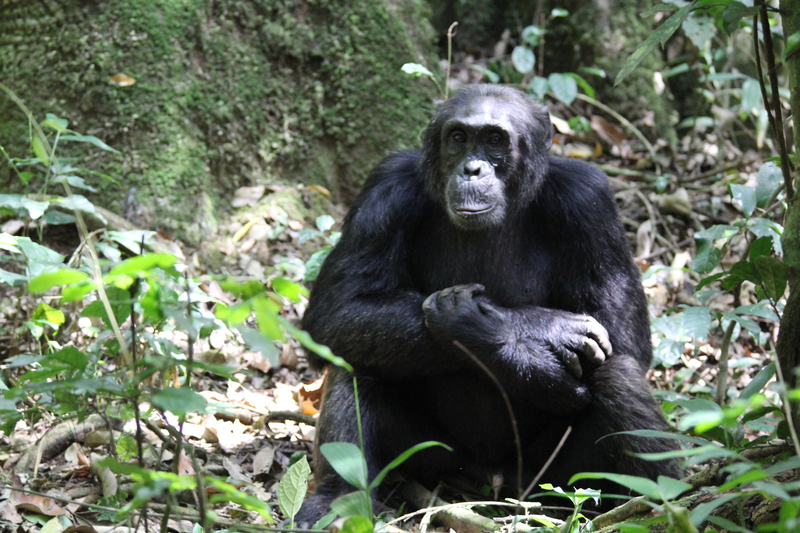 The process is highly controlled – the group stays together and follows a guide, and you are allowed to stay in their presence for only 1 hour of each day. 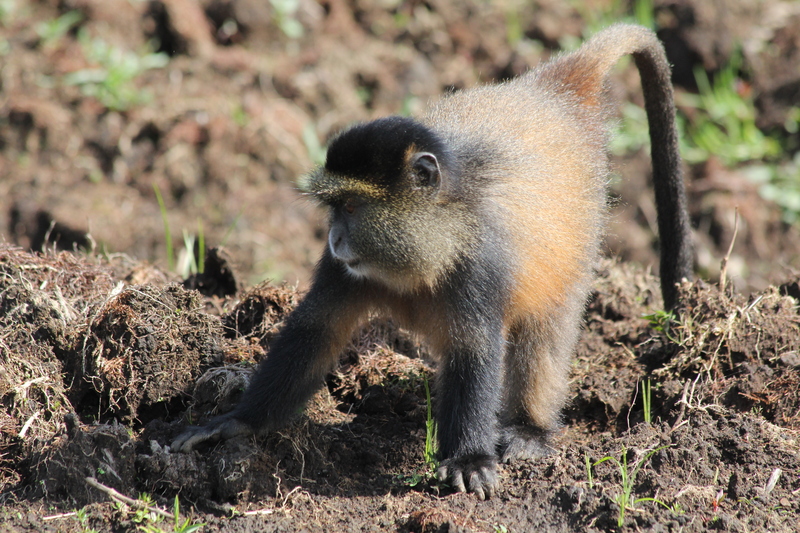 We set off through the village and then encountered the Golden Monkeys first on an unused plot of farming land. 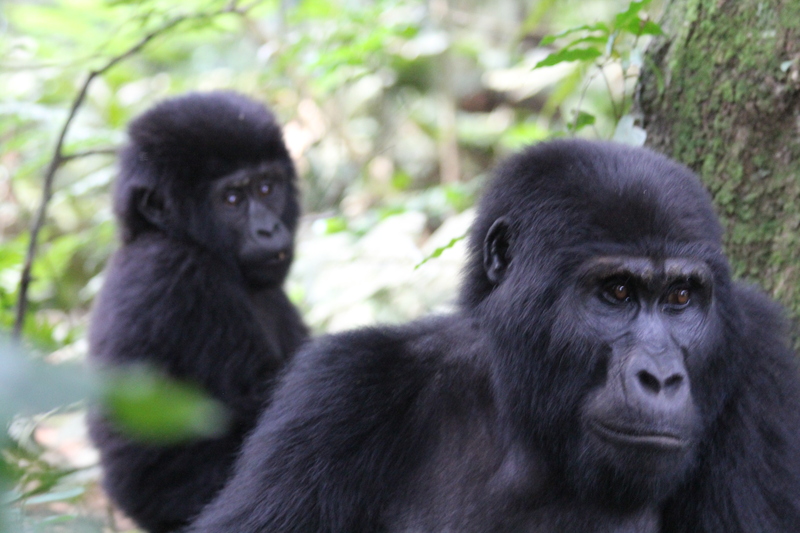 After about 20 minutes, they moved on to the forest and so did we. You can see how they get their name – they are beautiful! 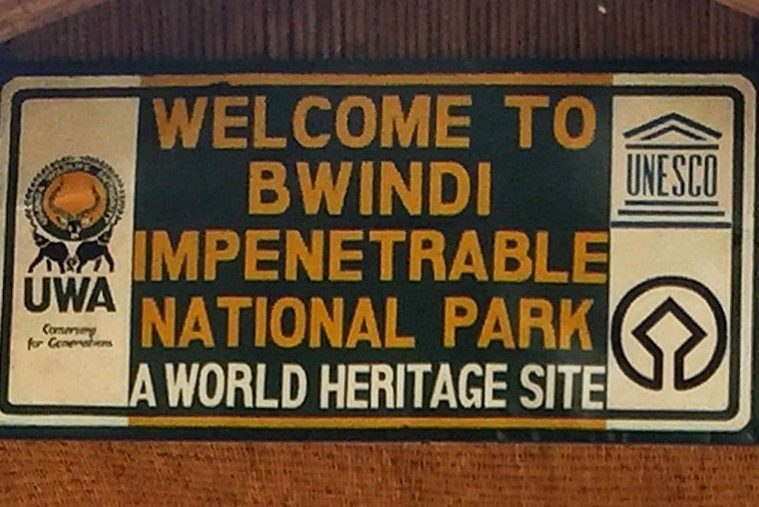 The following day we set out on a LONG drive for Bwindi Impenetrable National Park, Uganda. 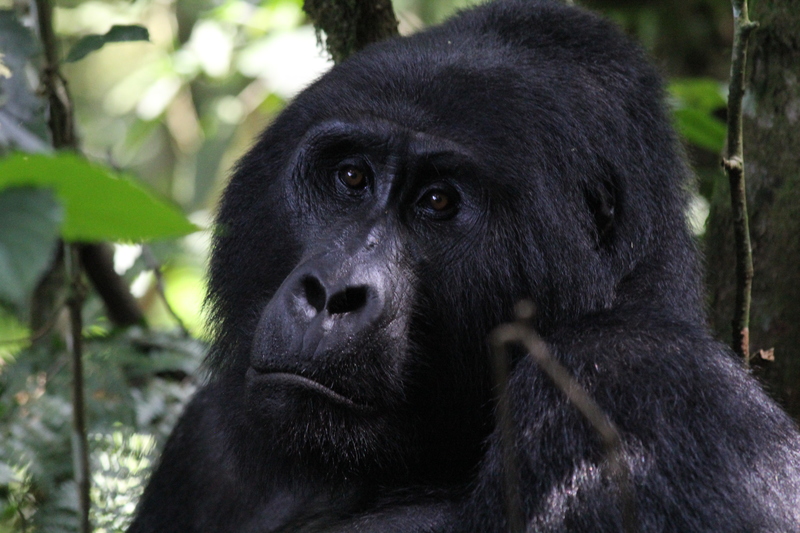 Bwindi is home to over 300 Mountain Gorillas and has several family groups that are habituated to visitors. 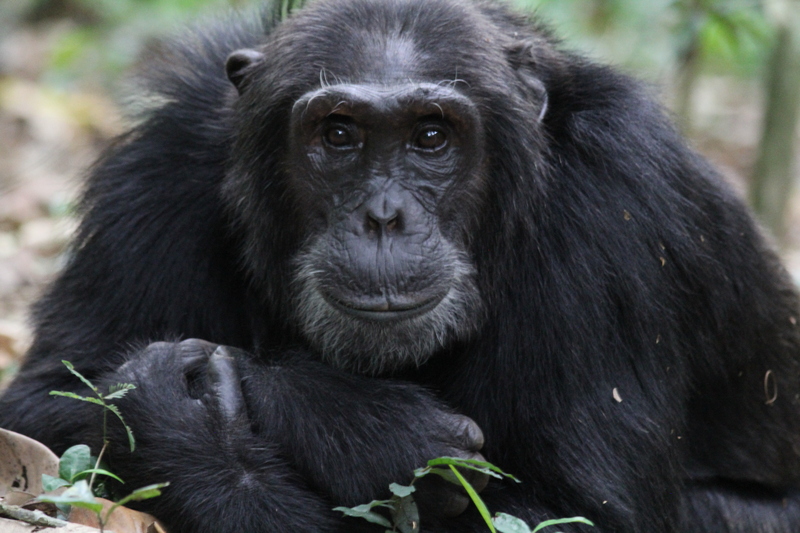 These beautiful animals are endangered due to poaching and live only in Uganda, Rwanda and the DRC – they cannot survive in captivity so if you’ve seen a gorilla in a zoo, it was likely another gorilla species, probably the Lowland Gorilla. The hike to find our family was no joke (it’s called the “impenetrable” forest for a reason!) but when we got there it was more than worth the effort. This group has several juvenile members and they were very active during our 1 hour stay! 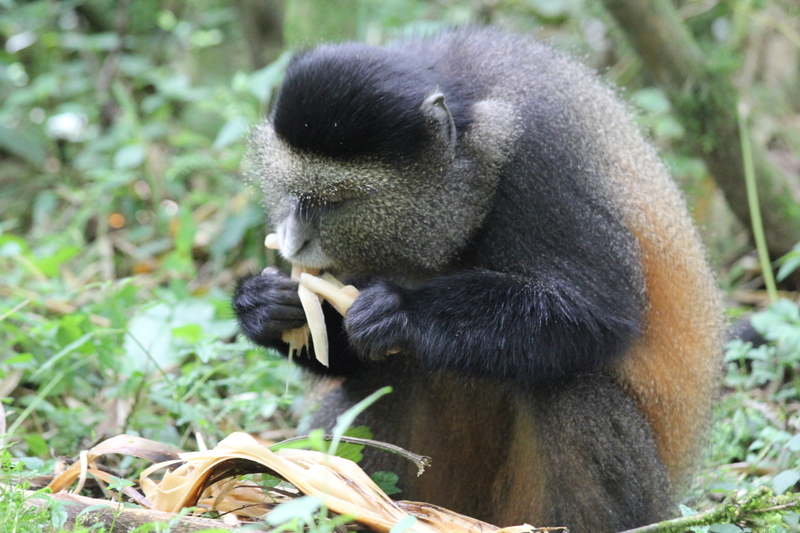 The last primates on our itinerary were the Chimpanzees of Kibale National Park, Uganda. 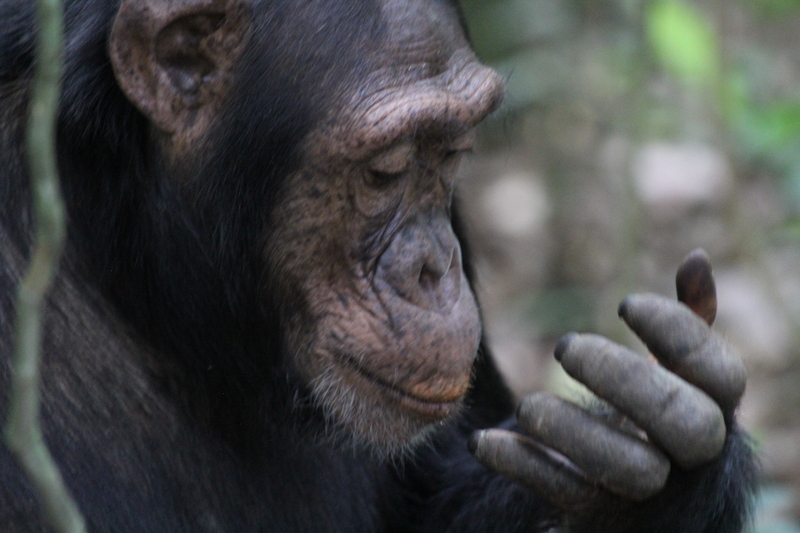 We arrived around 2pm and quickly got ready to go into the forest, hoping to catch the chimps while they were still feeding on the ground. Once they go into trees for the night we would be out of luck! We joined our guide and set off on our trek. 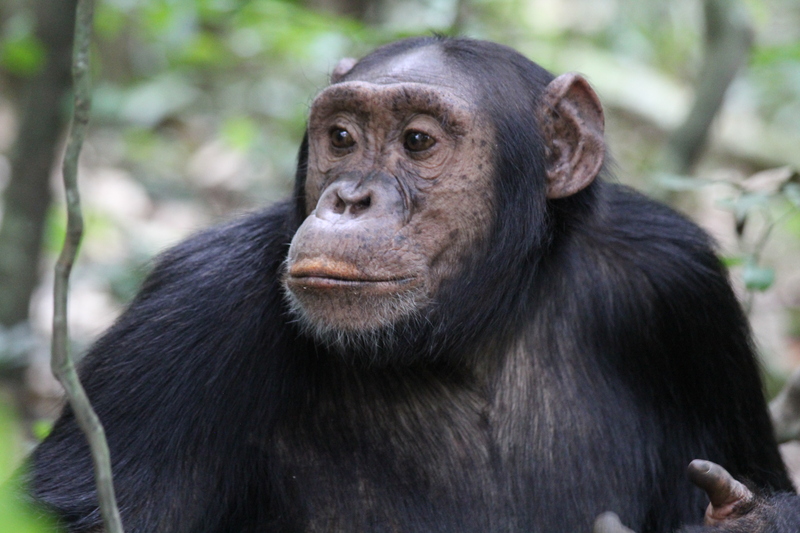 It wasn’t overly strenuous, but those chimps move fast! There were several times when we were running through the forest to keep up. 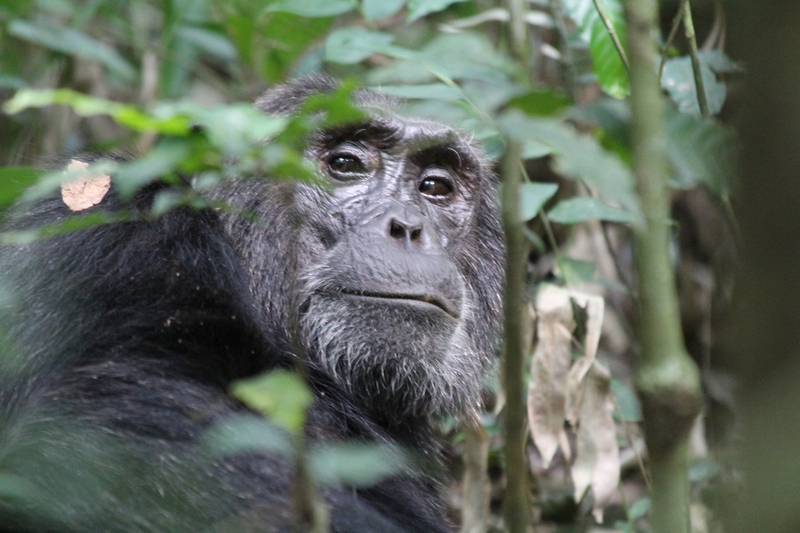 🙂 These animals share more than 96% of our DNA and we had lots of opportunities to observe them up close, including one elder who clearly likes having his picture taken! 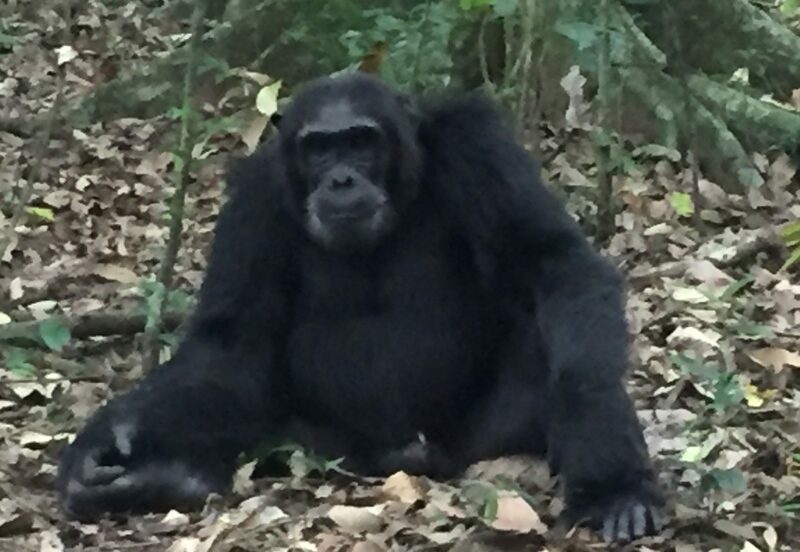 What a great week with our primate cousins. It’s truly an experience you should not miss! 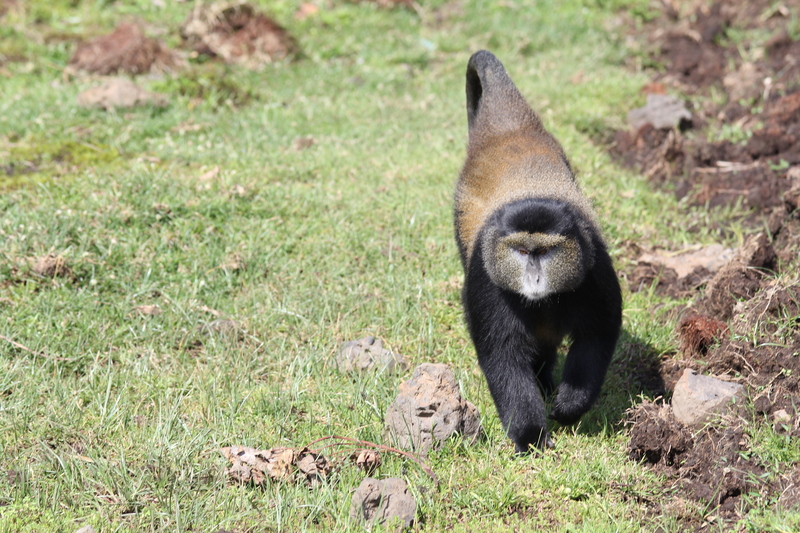 For action shots, check out my short YouTube videos of Golden Monkeys, Chimps and Gorillas. Plan your own trip to see them in person soon!